Midsummer. In Sweden, Midsummer’s Eve is arguably the second most important holiday, only outshined by perhaps Christmas. Taking place on the Friday closest to the summer solstice, Midsummer’s Eve is a day of playfulness, friends and love (plus food and snaps, of course). During the day, Maypoles are decorated with birch leaves and flowers, celebrating the shift in season. Children and adults alike play games and sing songs well into the night. Before the day ends, maidens – and bachelors too these days – pick seven types of flowers and put them under their pillow, all in the hopes of dreaming of their true love. Some might even take a role in the Midsummer dew in hopes of better health! Midsummer’s Eve is a magical night, and regardless if you believe in the magic literally or more figuratively, the traditions it brings with it are worth considering. Take the myth of the seven flowers for example. Legend says that if a maiden picks seven flowers in silence and jump over seven round-pole fences before placing the flowers under her pillow, her dreams will be filled of her true love. True or not, the time and effort put into performing the ritual is important. It gives an opportunity to reflect in silence about where your are in life and where your true heart lies. 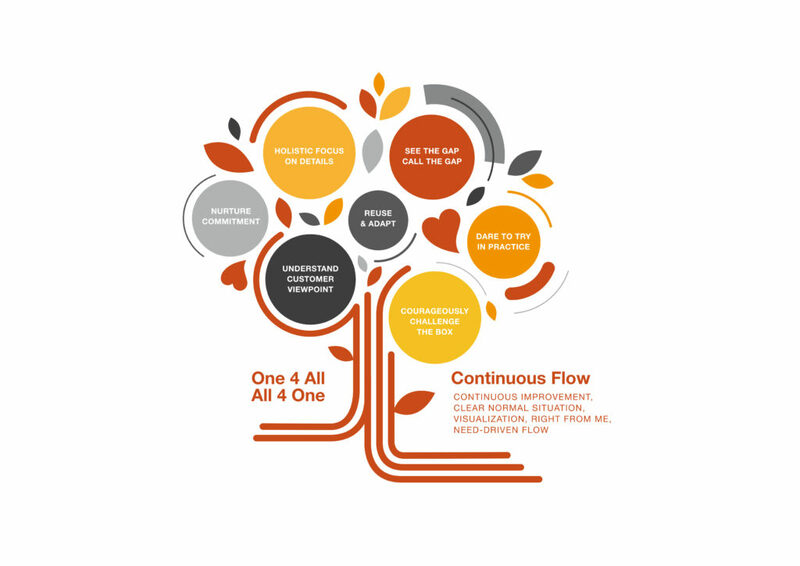 At SAM we have seven fundamental Principals that govern the way we work and think. You could say that they are our seven flowers, and every now and again we take a moment to silently ask ourselves: Do we keep the Principles close to heart in our work? I think we do. Do you?